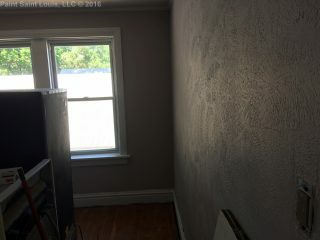 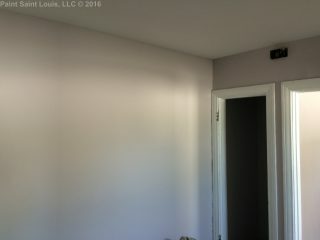 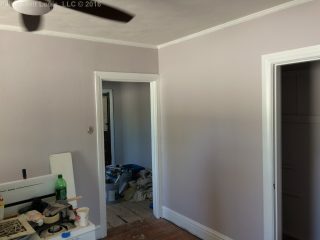 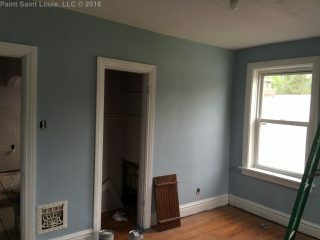 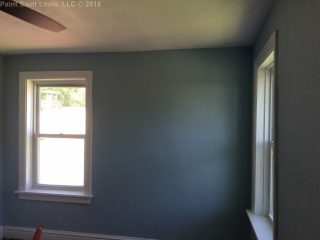 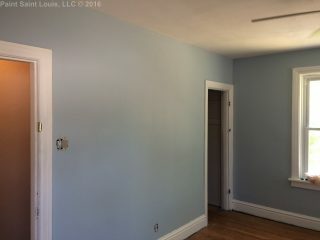 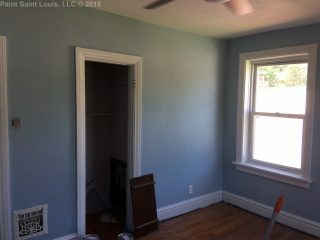 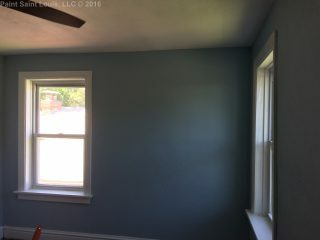 What was painted: Trim received one coat oil based primer and three coats white semigloss paint. 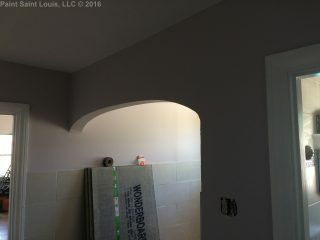 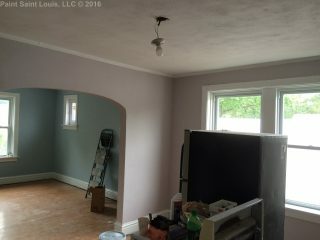 Ceilings received two coats white primer and walls received two coats of paint. 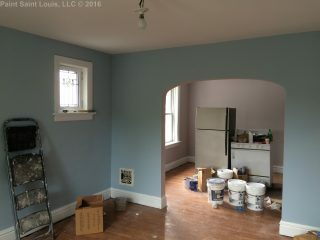 Notes: The walls and ceilings were heavily plaster textured which makes the paint look a bit odd. 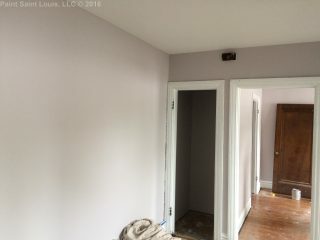 To mask this as much as possible Pro-Mar 200 Lo-Sheen Eg-Shel paint was used. 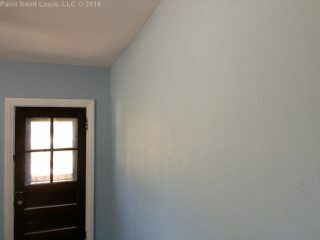 To save money and to seal out some stains and leaks primer was used on the ceilings and double coated.